Signs of the Times | Say the truth loud! Please Get to know Jesus Please click on image to read God bless. PROTESTANTS HAVE TURNED AWAY FROM TRUTH – Billy Graham Answers: Is the Antichrist Roaming the Earth as We Speak? This is pretty much what you get from Protestants now regarding the antichrist. 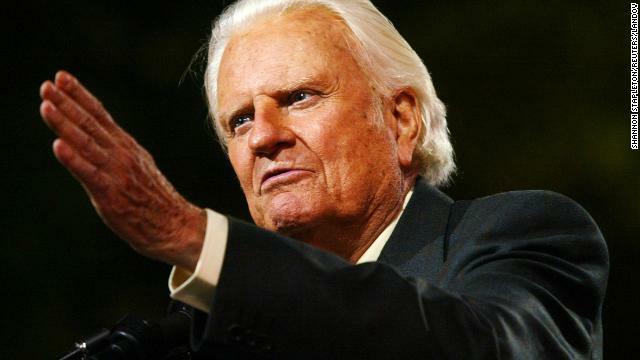 Billy Graham not only is unable or unwilling to pinpoint the antichrist, he makes the same mistake that the majority of Protestants and Evangelicals make today. And that is to take the Jesuit line of thinking regarding antichrist. Proposing that the antichrist is one person who would arise in the very last days. And yet the Bible makes it real clear that the antichrist is not one person who will arise in the last days, but a RELIGIOUS SYSTEM which tries to TAKE THE PLACE OF CHRIST, that has been with us for a long time! Many other great men and women, including William Tyndale, John Wycliffe, Philipp Melanchthon, Huldreich Zwingli and the Translators of the King James Bible all proclaimed the antichrist to be the Papal Church of Rome, with the pope as that ‘man of sin’. Sadly, Protestants today have joined hands with that whore of Babylon and have accepted false Jesuit teachings concerning the antichtist to divert people from the truth! Revelation 14:9-11, 14. In the closing era of earth’s history just before Christ appears on the cloud at the last day to reward every man, God will send a special message warning every person not to receive the mark of the beast. The terrible punishment of which God warns should make us purpose never to receive the mark of this beast, even if our faithfulness to God should cost us our lives. Revelation 13:18. This beast power, whose mark we are warned to avoid, is the Catholic power. The pope’s leading title, VICARIUS FILII DEI, when counted according to the Roman numerical value of the letters, equals exactly 666. Since the beast is symbolic of the Catholic power, the mark of the beast must be some intuition of Catholicism, which will distinguish those who adopt it as obeying her authority in preference to obeying God on that point. 1. When a person keeps the seventh day, Saturday, as the Sabbath, whom does he obey? There can be only one answer: that person is obeying God, for that is what God has commanded in the fourth Commandment of the ten. Exodus 20:8-11. 2. When a person keeps the first day of the week, Sunday, as a so called sabbath, whom is he obeying? He is not obeying God by keeping the first day, because God has never told anybody to keep the first day of each week. Whom then is he obeying? He is obeying the command of the Catholic power, which has attempted to substitute the first day as a holy day in place of the seventh day, which the Lord Christ sanctified or set apart for man in the beginning of time. Genesis 2:1-3. Thus it is made plain in the light of God’s message that, when we choose to keep the seventh day, we are marked as worshipers of the Creator, the only true God (Ezekiel 20:12); while if we choose the Catholic Sunday in the place of God’s seventh day Sabbath we are marked as followers of the beast power. Matthew 15:9 When we substitute a human ordinance in place of what God has ordained, our worship of Him is vain. Revelation 13:16, 17. An attempt will be made to enforce the mark of the beast on all people. So each one will have to decide whether he will obey God and keep the seventh day, or obey the beast power and keep the first day, which this power has sought to put in the place of God’s day. Revelation 13:8. All the world will obey the beast power, except a few, who will be loyal to God, as the three Hebrews were in the vast throng of Babylon. The book of Revelation shows that in the testing time every person will have to choose whether he will receive the seal of God on his forehead, or whether he will receive the mark of the beast on the forehead on in the hand, for Christ or antichrist, will seal our eternal destiny. God holds out the Sabbath as the sign of His power. Exodus 31:16, 17. The beast power holds out Sunday as the sign of its power. Which one do you choose? Acts 5:29. We should decide now to obey God rather than man. Revelation 14:12. The only way we can avoid the mark of the beast is to keep the Commandments of God and faith of Jesus. If you have made that decision, then stick to it. If you have not so decided, then put yourself on God’s side this moment by deciding to obey Him and keep His day. The Alfred E. Smith Memorial Fund Dinner is a white tie fundraiser for Roman Catholic Charities. It is held at the Waldorf Astoria Hotel and hosted by the Alfred E. Smith family and the Roman Catholic Cardinal of New York. This year’s list of invitees to the 71st annual dinner included Presidential candidates Donald Trump and Hillary Clinton. The only thing between the two presidential rivals was Cardinal Dolan with whom they shared the meal and the dais. Normally, the dinner speeches are something of a roast with the speakers light-heartedly ridiculing themselves and teasing each other. But Donald Trump skewered Hillary Clinton with harsh criticism and was booed by the audience. Though the media skewered Trump in return, the Catholic Church took advantage of the opportunity to hobnob with the very wealthy attendees. The Al Smith Dinner dates back to 1945, honoring the legacy of the nation’s first Roman Catholic presidential candidate. The toxic remarks created a lot of tension at the dinner, but Cardinal Dolan eased the tension and reminded those wealthy Wall Street executives and other influential people why they had gathered together – to support the Catholic Charities, particularly the children they help. And though the latest release of hacked emails from the Clinton campaign has led to allegations of a deep-seated anti-Catholic bias in the Democratic Party, Cardinal Dolan was able to raise a record-breaking six million dollars for needy children. Trump’s questionable stance on abortion has Catholic voters in a knot as well. Dolan used the acrimony between the candidates to suggest that it won’t necessarily be a political campaign that will be there to meet the needs of the poor—it will be the Church. 1. Won’t the second coming of Christ be a secret rapture? 5. Christ’s second coming will be in two stages: (1) the secret rapture, and (2) the actual coming, which will be glorious. 8.The wicked will at this point have a second chance to be converted and to serve Christ. These eight premises have been so widely embraced that most people accept them as fact without pausing to investigate. But our only safety is to search the Scriptures daily to determine whether those things are so (Acts 17:11). Prepare for some surprises. 1.The rapture is not silent, but rather, is extremely noisy (1 Thessalonians 4:16; Psalms 50:3; Jeremiah 25:30, 31). 2.The rapture is not invisible, but will be seen by all (Revelation 1:7; Matthew 24:27). 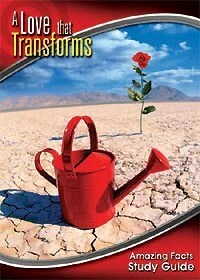 4.God does not remove the righteous from the tribulation, but rather protects them from it (Psalm 91:5-12; Rev. 3:10). 5.Christ’ second coming will not be in two stages–one secret and the other seen by all. There is only one second coming, and it will be seen by every living person on earth. 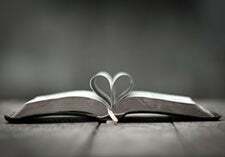 There is no Scripture to support a two-phase second coming. 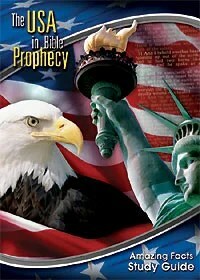 6.The secret rapture teachers claim there is a seven-year period between the two second comings of Christ. This claim is unscriptural. 7. 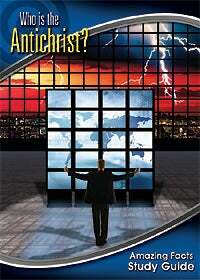 Antichrist does not appear three and one-half years after the second-coming of Jesus. He has been active for centuries (1 John 4:3) and is even now at work! 8. The wicked will not have a second opportunity to be saved after the second coming. All sinners are destroyed at the second coming. There is no second opportunity for anyone to be saved after Christ’s return. (Revelation 22:11,12; 2 Thessalonians 1:7-9). (1)The rapture (resurrection of the righteous, saints being caught up to heaven). (3)The second coming of Christ (really the third) in power in glory. (2) The darkening of the sun and moon, falling of stars. (verse 29). Isn’t it amazing that there is not one Bible reference that gives the dispensationalist order of events? 2. Since the Lord is coming “as a thief in the night,” how can anyone know anything about it? The foundation of the ‘rapture’ theory was laid over 400 years ago, upon the specific orders of the Catholic Church. Every Christian needs to understand how this fabrication of error was designed to neutralize the great Protestant Reformation. If the facts of history were known by Protestants today who defend with such great emotion the rapture theory and the futurist antichrist doctrine, they would be horrified. Luther and his fellow reformers boldly identified the pope as the “man of sin,” and labeled the Catholic Church as the antichrist of prophecy. In response to those charges the Roman hierarchy assigned two Jesuit priests to develop counter-interpretations which would turn the focus away from the Catholic Church. These two Spanish priests flooded the 16th century with their counter-Reformation propaganda. Alcazar of Seville applied all the ‘beast’ prophecies to Antiochus Epiphanes, who lived long before the popes began to rule in Rome. His system of interpretation came to be known as the Preterist School of prophecy. On the other hand, Jesuit Francisco Ribera invented a system know as the Futurist School of interpretation. He taught that the antichrist was to be some future superman who would appear near the end of time and continue in power for 3 ½ years. It is his clever, unscriptural theory, which has been resurrected by modern evangelical Protestants Christians. And today, millions of Baptists, Methodists, Pentecostals, etc., hold this anti-Protestant concoction of the Jesuits as some kind of infallible doctrine. Yet these same denominations claim to be faithful supporters of Protestant theology. Luther and other stalwart protesters against Catholic errors would be astonished if they were suddenly resurrected, to hear what is being taught in the name of Protestantism. In the early 1800s, the futurist view of Jesuit Ribera passed through certain refinements and additions, including the seven-year tribulation and the snatching away of the saints. For the first time it was espoused by Protestant teachers who were seeking ways of reconciliation with Rome. Through the influence and writings of John Nelson Darby of the Plymouth Brethren Church in England, the new doctrine spread to the United States. During the middle and latter part of the nineteenth century, it received its biggest boost from Cyrus Schofield, who incorporated it into the notes of his Schofield Reference Bible, published in 1909. Prophecy is being fulfilled right now! See how the Image Of The Beast is taking form! 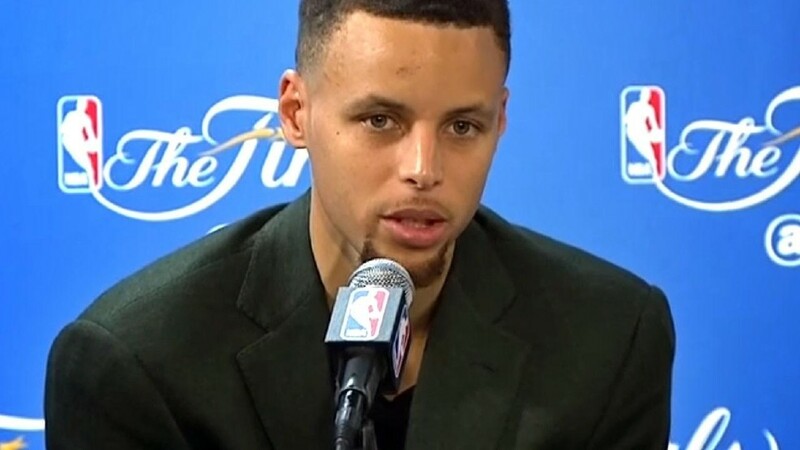 ERROR OF MAN: STEPH CURRY SIDES WITH LGBT ON GENDER EQUALITY! This is becoming more and more common. Many that are proclaiming Christ nowadays are denying him in public for the sake of fame and notoriety from the world. How can a person claim to be a follower of Christ but promote gender confusion and defend those that promote agendas against the bible? Steph Curry has a lot to learn and I pray that one day a pastor would be bold enough to truly share truth with him and show him how you cannot claim Christ and love the world at the same time. We cannot have it our way. Either we will follow Christ or we will follow the enemy. There is no in between. This bathroom equality agenda will corrupt his very daughter in the future and cause confusion in the lives of many that follow him. The fact that he is promoting this and standing up for the LGBT is sad. But the day of the carnal believer is here and many are falling away from the truth. This one is simple. All Steph had to say was ” I believe in the equal treatment of all people, however, I define people as male and female. Therefore, I cannot side with the LGBT on this bathroom issue. Our bodies define our identity. I believe the bible and it clearly states that God made us male and female.” But instead, Steph Curry sided with the LGBT by saying the law should be changed to protect the financial interests of the organizations he is apart of? 2Tim. 4:4 And they shall turn away their ears from the truth, and shall be turned unto fables. The Huffington Post Reports: Stephen Curry is now a different kind of MVP ― most valuable protester. The NBA superstar urged lawmakers from his home state of North Carolina to rethink the so-called “bathroom bill” that discriminates against the LGBT community. The state has paid dearly for the HB2 legislation, losing the NBA All-Star Game in Charlotte, first- and second-round games of the NCAA men’s basketball tournament and other NCAA championship events. The Atlantic Coast Conference also announced it was relocating its football championship from Charlotte, where Curry grew up.